The Department of Pediatrics offers a three year accredited fellowship in Child Abuse Pediatrics for physicians who have completed an ACGME-accredited pediatric residency and are eligible for certification by the American Board of Pediatrics. The goal of the program is to train physicians for academic careers in child abuse, neglect, and advocacy. The program offers an enriched experience in the areas of child physical abuse, sexual abuse, failure to thrive, neglect, and maternal substance abuse as well as the opportunity for community site and agency experiences (e.g., law enforcement, social services, dependency court, criminal court). The Child Crisis Center handles approximately 600 referrals a year for evaluation of child sexual and physical abuse. There is a separate Failure to Thrive Clinic, which handles 400 visits per year and an Infant of Substance-Abusing Mothers Clinic which also handles 400 visits per year. Harbor-UCLA also serves as a hub for children in foster care in the KIDS (Kids in the Dependency System) Clinic. Fellows also see inpatient consults as part of the SCAN (Suspected Child Abuse and Neglect) Team and attend the monthly conference of the Los Angeles County Child Death Review Team. In addition, there is the opportunity to obtain a Master of Public Health through the UCLA School of Public Health and participate in the UCLA K30 Graduate Training Program in Translational Investigation. Both opportunities require a separate application process from the fellowship program. 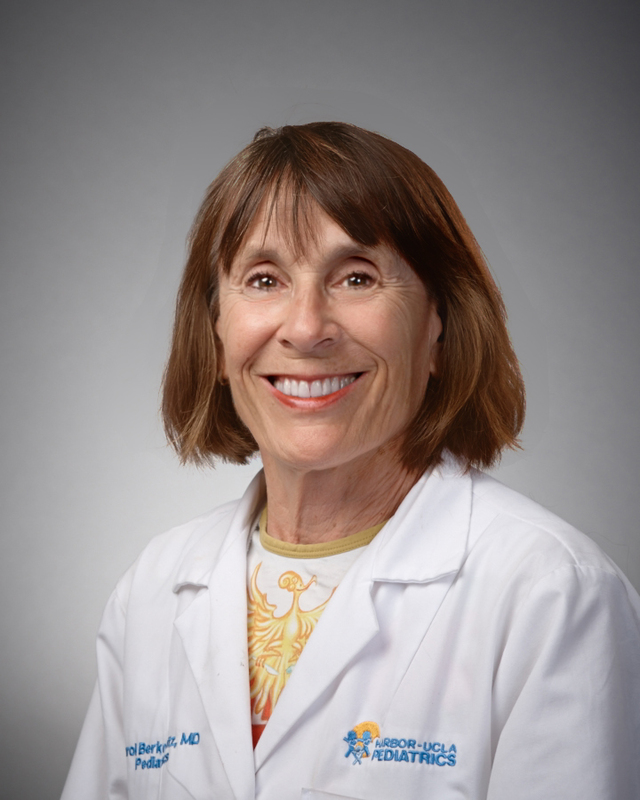 Carol Berkowitz, M.D., F.A.A.P., F.A.C.E.P.